On the Blogger platform, you may have seen a header line with date above the posts on homepage. It's the date header and the posts published on that particular day will list under that date header. If you don't seems to like the way it is, you would try changing date header format with available options. You may satisfied by changing date format. But if not, you may prefer to show publication date with each of your posts or planning to show it anywhere else suitable for your blog theme or design. Therefore you would like to hide date headers from your blog as you are working on an alternative. 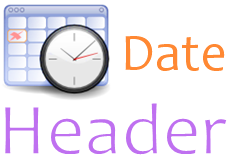 Are you desperate to know that how to get rid of those date headers? There are 2 methodologies for removing date header and select one of it as per your requirement. If you are looking for just to hide date header from your page, follow this. Blogger offers this officially as an option for Blogger users. i. Go to Blogger Dashboard. ii. Click on your Blog Title. iii. Now move on to Layout. iv.  Find Blog Posts element there and click on Edit link correspond to the element. v. Tick off first option which shows date, under Post page Options. vii. Now click Save arrangement button and Preview your blog. This will be useful if you need to remove date header and acquired space above post title. if you are planning to display post published date somewhere else in your page. iii. Jump to Template tab. iv. Click on Customize button. v. Now you will be directed to Template Designer. Jump to Advanced. vi. On the next pane, click on Add CSS tab. vii. Now add following CSS style code snippet in the text area you find on the right pane. viii. Click Apply to Blog button to make changes. You're welcome mate :) Glad you made it. You're welcome Joycelyn :) Hope it helps you to remove post header. Hey Mayura nice post buddy!! It didn't worked for me though..actually the date appears 2 times and i wanted to remove the one that is a clickable link.. It's a custom template, no? :) So I doubt this method will work out. Anyway, which date label you need to remove - First one or one with link? Hello my friend, wow very fast response :) Well its a custom template yeah and makes it hard sometimes to use tricks found on the web..i think i need to remove the one that is a clickable link (the second one)..that link doesnt seem to make something special, it just loads again the post..i thought that link could show only posts shared on that date but i was wrong..anw the second one buddy..i ll appreciate any help on this..thank you so much!! You just need to remove exact line from your template. Anyway preview your blog before you save it. It worked like a charm!! Thank you so much Mayura, i really knew i can count on you!! Keep this great work buddy!! Thank you buddy! I did it successfully!!! More power to your blog! How do you display the post date and title on the same line for blogger? I'm stumped. Seems you got here at the right moment ;) Await for the next week's post! It's all about adding custom tabs. 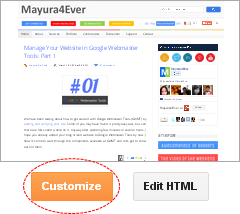 It's already posted mate ~ How to Add a Custom Navigation Menu in Blogger. Ha ha... Glad this post came as a reminder for you ;) Hope you already made it. Not working for me dude! Did you try the both methods? Yes,but is any other way to remove date in homepage? Reset and try above methods again. Make sure to back up your template prior to the reset as well. I will try this! And I've one question to ask. Is HNB debit cards allow to pay online? I want to purchase a domain. No mate, you have to use a Credit card or a Web card. If you have any questions not related to the topic or exclusive to your blog, you can ask at our Support community.